Happy Hogs Caterers York are a family business ran locally and very proud of our catering and the awards we've received. 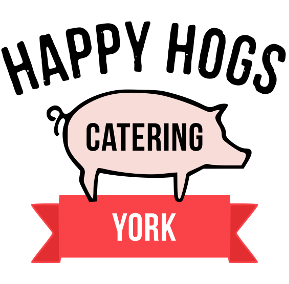 Caterers York provide free range hog roast catering from local award winning free range pigs. Succulent slow-cooked pulled pork hog roasts professionally cooked by our family-run team. Our hogs have won the "Good Pig 2012" catering award. These pigs are purely bred for quality and this shows in the enhanced taste of the lean marbled meat which melts in the mouth and is accompanied by slow-roasted crackling. 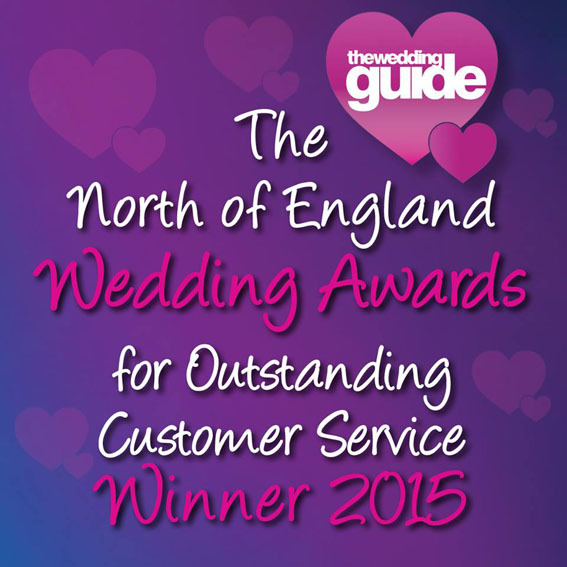 Voted and Winners of The North of England Caterers of the Year 2014 we are one of the best if not 'the' best free range caterers York. We ensure the best tasting hog roast in Yorkshire and have a dependable service you can rely on from long-established hog roast outdoor catering. Our York indoor or outdoor hog roast catering is just amazing and delicious, so please let us know if you prefer your food served from inside particularly for the Winter season. Caterers York free range barbecue catering ideal for York outdoor events. Catering for all occasions; wedding party food, function dinners or events. Our food is free-range, with pigs bred locally in York producing the best barbecue sausages and reared 100% outdoor beef is used in every home-made burger we produce. Our secret recipes for our own marinades and rubs convince customers to hire us for every catering event! For all Yorkshire occasions our scrumptious bbq catering food is really scrumptious. We have a selection of menus to choose from and tailor to your occasion requirements. We serve our barbecue catering indoors or outdoors to suit the time of year or function style. Contact our York catering team to ask about how we can cook outside but then serve from inside for your barbecue event. Big Pan Catering has ruled across Europe at outdoor events for years, but now in York its popularity is exploding. Whether you choose traditional Spanish Paellas or Moroccan Lamb with spices and herbs - we even serve authentic Mexican Chilli which is one of our most popular dishes. Mexican sizzling chicken fajitas are available too if you'd like some exciting catering alternatives. The giant Paella Pan is presented right in front of your guest so they can watch their meal being prepared before their eyes with fresh ingredients and aromatic smells developing in the pan prior to being portioned onto their plates hot and tasty! 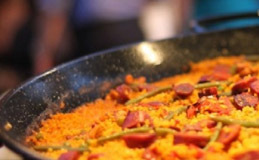 Big Pan Paella is cooked indoors or outdoors and is easy to serve providing there is good ventilation. The time of year isn't important, Caterers York always serve up the best food available in York. 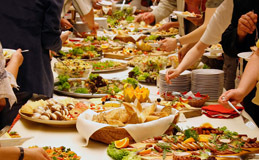 Caterers York provide are exceptional free range hog roast, pulled pork and barbecue caterers in York, serving the York area and across Yorkshire with our outside event catering services. We only serve free range ethical produce, all home-cooked by our family run York caterers. At Caterers York we believe the best free range York catering comes from using the best ingredients. This is why Happy Hogs Caterers York only use meat that is good quality from animals that have been well looked after for our York catering service. To Hire a Hog Roast is a brilliant way to serve a great number of guests fantastic food while keeping your budget down. Happy Hogs and BBQ Caterers York have years of experience. So we know what a wow-factor barbecue catering makes at an event. The hog roast for example is a real centrepiece which will always attract hungry onlookers! We take a simple bap or bread roll and fill it with amazing fillings and meats which transform it into a mouthwatering meal. York catering and weddings in York have an ever-growing demand for Hog Roasts and BBQ food. Whether at weddings, family gatherings, parties and events. 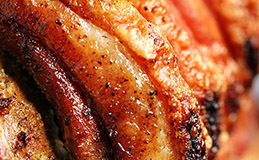 York Hog Roast catering popularity is on the up and we believe this is partly due to the city’s historic background, making a rustic Hog Roast catering style suit York’s beautiful Medieval backdrop. Even business events such as corporate showcases use our York Hog Roasts service to give catering solutions to outside open days and product launches. We also offer wedding catering right through the year. Other more unusual festivities we cater at include Halloween, Bonfire Night and Christmas or New Year’s parties. Because Barbecue and Hog Roast catering is ideal all-year-round. 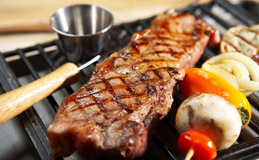 Our Wedding Caterers York cater a great deal of BBQ food at weddings. In fact we cook and serve great food at approximately 150 each and every year and so our chef and food preparation team are constantly amazed by the reaction and reception of our Hog Roasts and BBQ catering. All our barbecue meat is free range and hog roasts are perfectly cooked. Menus and the food served can be tailored exactly to meet our clients’ needs for their event or occasion. Contact our BBQ caterers York catering team today to book hog roasts or barbecue food for your York wedding or party. 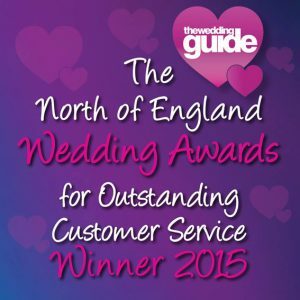 As long-established and professional York Caterers, we are proud to have won again ‘The North of England’s Wedding Awards’ in the caterers category, going up against Exclusive Caterers Dine from Sarah Beeny’s wedding venue Rise Hall and Michelin star dining from Box Tree Catering previously owned by James Martin celebrity TV chef and many other event caterers, wedding caterers from Yorkshire and York catering businesses.